Jenkins is an open source automation server intended to automate repetitive technical tasks involved in the continuous integration and delivery of software. Jenkins is Java-based and can be installed from Ubuntu packages or by downloading and running its Web application ARchive (WAR) file — a collection of files that make up a complete web application which is intended to be run on a server. In this tutorial we will install Jenkins by adding its Debian package repository, then using that repository to install the package using apt-get. One Ubuntu 16.04 server configured with a non-root sudo user and a firewall by following the Ubuntu 16.04 initial server setup guide. We recommend starting with at least 1 GB of RAM. See Choosing the Right Hardware for Masters for guidance in planning the capacity of a production Jenkins installation. When the server is set up, you're ready to follow along. 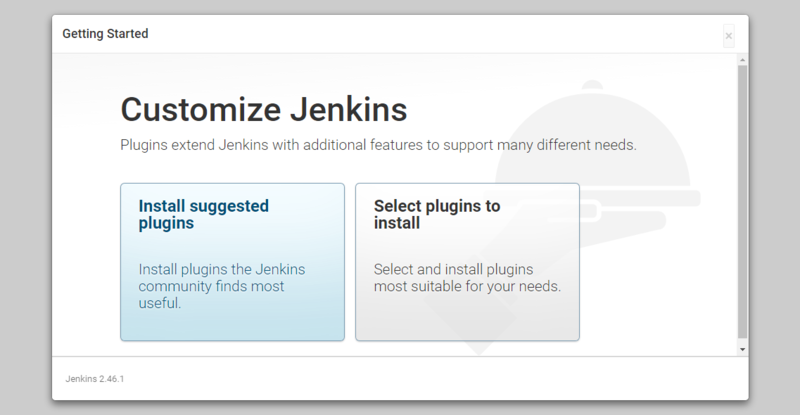 The version of Jenkins included with the default Ubuntu packages is often behind the latest available version from the project itself. In order to take advantage of the latest fixes and features, we'll use the project-maintained packages to install Jenkins. First, we'll add the repository key to the system. Now that Jenkins and its dependencies are in place, we'll start the Jenkins server. Now that Jenkins is running, we'll adjust our firewall rules so that we can reach Jenkins from a web browser to complete the initial set up. We can see the new rules by checking UFW's status. Note: If the firewall is inactive, the following commands will make sure that OpenSSH is allowed and then enable it. Now that Jenkins is installed and the firewall allows us to access it, we can complete the initial setup. We'll copy the 32-character alphanumeric password from the terminal and paste it into the "Administrator password" field, then click "Continue". The next screen presents the option of installing suggested plugins or selecting specific plugins. 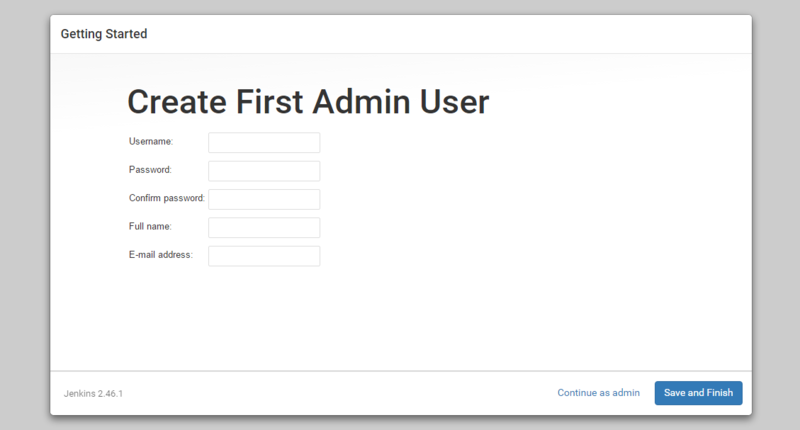 When the installation is complete, we'll be prompted to set up the first administrative user. It's possible to skip this step and continue as admin using the initial password we used above, but we'll take a moment to create the user. 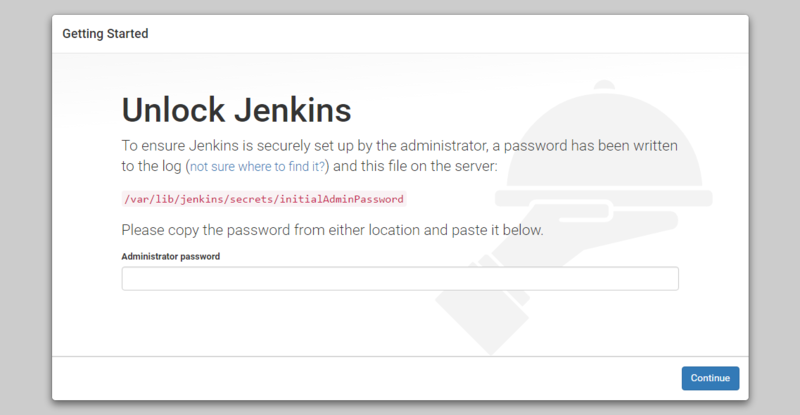 Note: The default Jenkins server is NOT encrypted, so the data submitted with this form is not protected. When you're ready to use this installation, follow the guide How to Configure Jenkins with SSL using an Nginx Reverse Proxy. This will protect user credentials and information about builds that are transmitted via the Web interface. 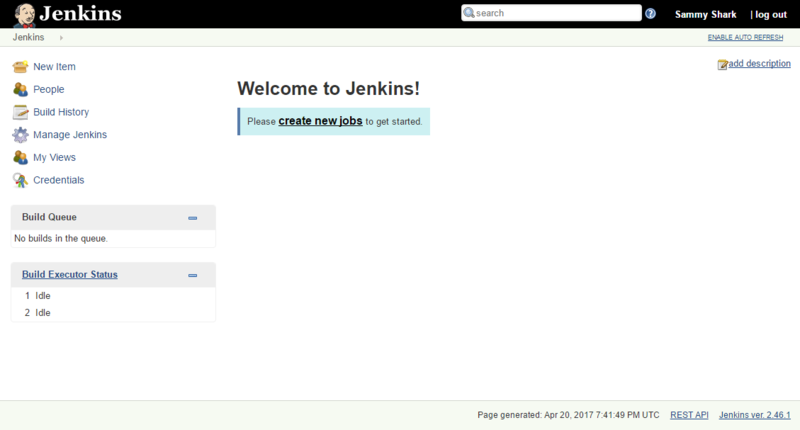 Once the first admin user is in place, you should see a "Jenkins is ready!" confirmation screen. At this point, Jenkins has been successfully installed. In this tutorial, we've installed Jenkins using the project-provided packages, started the server, opened the firewall, and created an administrative user. At this point, you can start exploring Jenkins. When you've completed your exploration, if you decide to continue using Jenkins, follow the guide, How to Configure Jenkins with SSL using an Nginx Reverse Proxy in order to protect passwords, as well as any sensitive system or product information that will be sent between your machine and the server in plain text.